Let our wedding hair specialists at our hair salon in Plymouth MI help with all of your bridal needs! At The Q Hair Studio, we understand all the hard work and planning that goes into making your wedding day memorable. Our talented staff knows the way you look and feel on your wedding day is directly related to your beauty experiences prior to the big event. 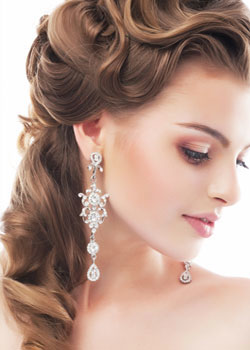 Schedule an appointment with our experienced bridal hair stylists. We will set aside a time for a personal consultation to discuss your needs and plan a trial run as well as other services in preparation for the big event. Here is an excellent plan to ensure your hair is aisle-ready and gorgeous. • Make an appointment for a bridal consultation at our Plymouth MI hair salon. This is a perfect opportunity for our talented professionals to learn more about what you envision for your special day. 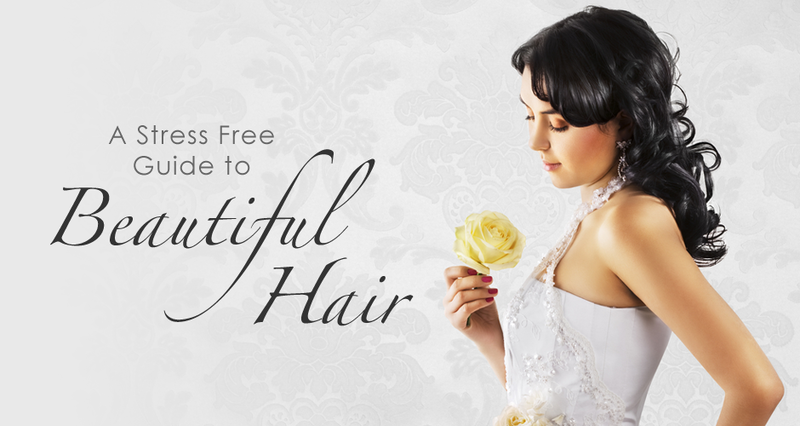 • Bring photos of any hairstyles that you like, photos of your dress, and any hair accessories. 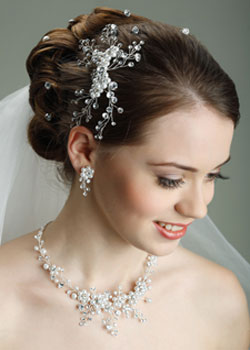 Our talented stylists can help you choose a style that will work well for your wedding day. • Visit our hair salon for your previously scheduled trial run hair and makeup appointment. • Purchase gift certificates for your wedding party to thank them for their participation. • Come in for your final color, highlight or root touch up appointment. This will give your hair time to adjust to the new color. We suggest that you do not try a drastic change this close to the wedding. • A deep conditioning treatment is also highly beneficial and can be scheduled two weeks in advance as well. This will help repair damage as well as restore shine and softness to your hair. • Have final eyebrow wax, leg wax, and bikini wax for super smooth skin. • Plan for beautiful feet and toes with a professional pedicure. • Make sure that your hands and fingertips look their best for the ring ceremony with a relaxing manicure. Add a paraffin hand treatment to keep your hands super smooth and silky. A manicure is also a wonderful treat for the groom! 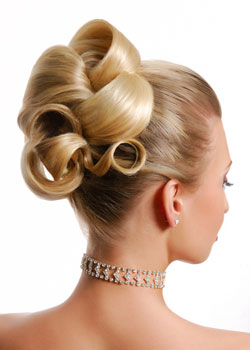 • Make an appointment for a casual hairstyle for the rehearsal dinner. Add a professional makeup application so that your hair and makeup will look amazing for the entire evening. • Arrive at our hair salon for your appointment with clean, dry hair. • Relax! Let our talented hair experts create a beautiful style that will capture your personality and style. • Remember to bring your veil if you would like for us to place it for you. Make an appointment today at our hair salon in Plymouth MI. Our bridal experts will make sure that you look and feel beautiful!